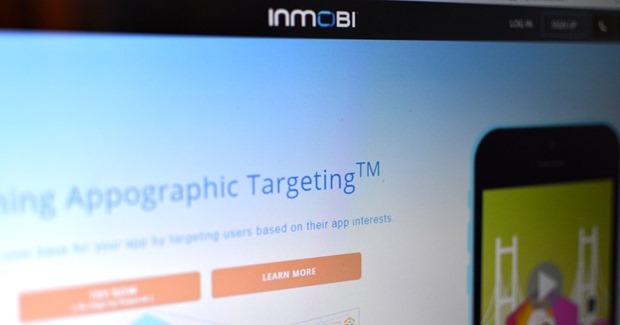 Google Eyeing Inmobi Acquisition, Wants To Rule Mobile Ad Space Too! There is a strong rumor going around the Indian startup scene right now: Acquisition of Indian Mobile advertising startup InMobi by Google. If this deal goes through, then it can become Google’s second acquisition in India. Last year in January, Impermium became their first Indian acquisition. But why Google wants to acquire an Indian startup? Out of $140 billion digital advertisement market (which includes mobile + desktop), Google claimed a massive 30% share in 2014. And if we analyze the overall Google revenues in 2014, then revenues from advertisement accounted for 89% of their total income. This means that Google is by far the single biggest online advertisement czar, and their internal revenues are solely dependent on Adwords based digital ads. However, they are losing the mobile battle. As more and more people are accessing content and news via mobile, the clicks from desktop computers to Google based ads are going down, which resulted in lower Cost Per Click earned by Google last year. As per their 2014 Q4 results, their total revenues in 2014 was $66 billion, which certainly increased 19% compared to 2013 but their average cost per click (from desktops) dropped 3%; which decreased 7% in 2013 and 5% in 2012. As a result, within 30 minutes of the announcement of financial results, their stocks dropped 3% in value. Way back in 2007, Google had bought DoubleClick to make their Adwords platform stronger and more robust, and the strategy worked. Earlier Google was only a seller of ads, but after DoubleClick acquisition, they turned into a platform as well, giving boost to their overall online advertisement model. Now, they are seeking something similar in the mobile ad space with inMobi. Facebook and Twitter are coming up with more aggressive mobile based advertisement platforms and Google is right now in a tight spot. They need something big, something influential in the mobile ad-tech space, and InMobi fits the description perfectly. InMobi is right now counted among world’s biggest mobile ad networks, competing against Google’s Admob, Apple’s iAd., Millennial Media, Rocket Fuel along with Facebook Atlas as well. Founded in 2007 by IITians Naveen Tiwari, Amit Gupta, Mohit Saxsena and Abhay Singhal in their bedroom, it was branded as mKhoj. Initially backed by Mumbai Angles, they rebranded themselves as InMobi and received two rounds of funding from Kleiner Perkins Caufield & Byers and Sherpalo Ventures. Lately, Soft Bank has also invested in this startup. Right now, they are undisputed leaders of performance based mobile ads with 759 million users across 160 countries. Among 900+ employees, they have 350+ data scientists, who are enabling billions of ad views every day across mobile and tablets all over the world. In 2013, they were featured in MIT’s Disruptive Startups list. Their clients include Japan’s Yamaha Motor Co, Microsoft, Adidas, Lancome and US retailer Macy. Last year, they were looking for a fresh funding to the tune of $300 million, against a valuation of $2 billion, but the attempt failed. In fact, Google and Inmobi had initiated talks about a possible acquisition last September, but it led nowhere: Google hadn’t yet realized the importance and significance of mobile-only advertisement platform, and Inmobi was confident of raising another round of funding. But at this moment, both of them are in same frequency regarding a partnership or acquisition, and it can happen very soon. After Facebook’s acquisition of Little Eye Labs and Twitter’s acquisition of ZipDial, Google-Inmobi acquisition can be the next biggest thing to happen in the Indian startup space.